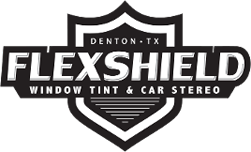 Experience better sound with state-of-the-art car audio in Denton, TX from FlexShield — a.k.a. Denton Car Audio. We offer car stereo systems and speakers, as well as a full range of audio-visual accessories for cars, trucks, RVs, and boats. Modern audio systems are easier to use and sound better than older systems. We have access to all the hottest brands and latest technology, including systems that connect seamlessly to your iPhone or Android device and interfaces with your music library. 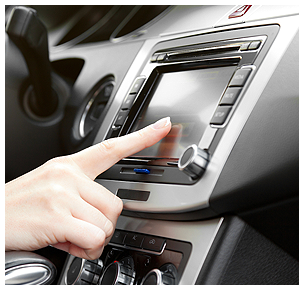 You can even take phone calls through your vehicle's speaker system. 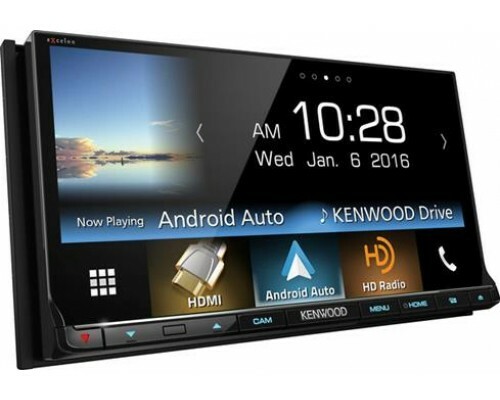 Whether you want a slim car stereo receiver or a large panel display, we have the perfect product for you. Whether you want a slim, unobtrusive car stereo receiver or a large flat-panel display, we have the perfect product to meet your needs. Many of our systems let you access satellite radio and double as GPS navigation units. The right song played over the right sound system can completely transform your commute, but many vehicle speakers just aren't up to the task. We offer a great selection of speakers that deliver crisp, beautiful sound quality that can't be matched by stock systems. You can customize your system with additional amps, subwoofers, tweeters, vibration dampeners, and other components to bring the sound to the next level. When our work is complete, you'll hear your favorite tracks in a whole new way. Your new speaker system will fit seamlessly into your vehicle. Our highly trained installers make sure each system is installed correctly and works perfectly. We also build custom speaker boxes designed specifically for the trunk or interior of your car. Make the most of your time on the water with a custom audio system designed for your boat. You'll be the life of the party on your next cottage weekend. We also offer built-in video and navigation to make your experience even better. With 20' ceilings in our shop, we can accommodate just about any boat. Make your passengers feel like VIPs! We provide mobile video systems that let passengers watch movies and TV shows during their trip. Choose from in-dash, headset-mounted, or headliner ceiling-mounted units designed specifically for your vehicle. New media devices can also connect to your iPad, iPod, tablet, MP3 player, or laptop letting you enjoy a full multimedia experience on the road. Get to your destination sooner with built-in navigation systems from FlexShield. With smart, intuitive controls and large, built-in screens, modern GPS systems offer a world of benefits. Your smartphone gives you access to navigation and mapping apps, but a small screen and form factor make it difficult — or even dangerous — to use while driving. A built-in system puts everything you need right at your fingertips. With fast, accurate results and easy ways to track mileage, our systems are ideal for individual or fleet use. Our technicians offer professional installation in your car, truck, boat, or RV. We have kits that will fit your vehicle's dash system, headrest, or headliner. These aftermarket kits seamlessly tie into new units using your existing dash controls. Even if you bought your system elsewhere, we would be happy to install it for you. Contact us at 94.220.6777 to learn more about our sound systems and state-of-the-art car audio or the best way to protect your investment with a high tech car alarm in Denton, TX and surrounding areas.